What would you do if you started to lose your eyesight and go blind? Would you give up on life and lay down. Would you complain that life isn't fair? Would you get angry? Or would you push forward until blindness became your strength, your way to inspire others to not give up when life gets tough? That's what David Brown did. 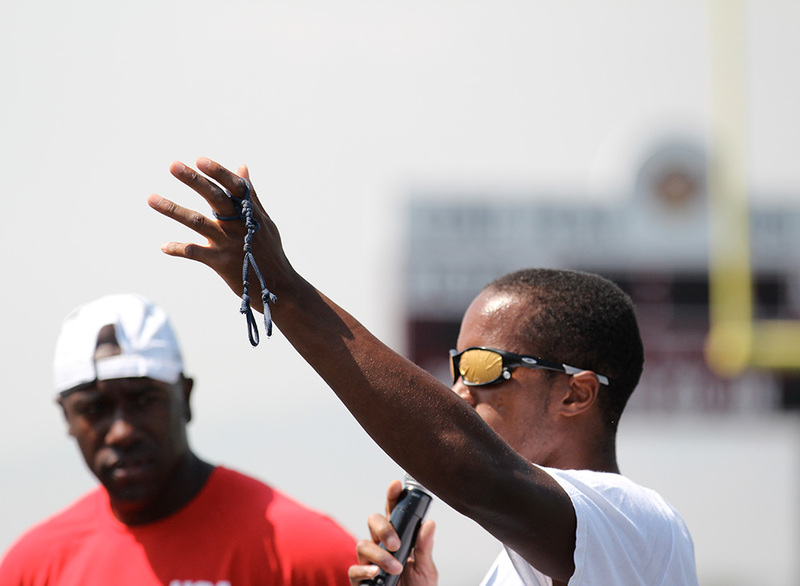 He pushed through blindness to become the fastest blind sprinter in the world. David Brown will represent the United States as a gold medal contender in the 2016 Paralympic Games in RIO. 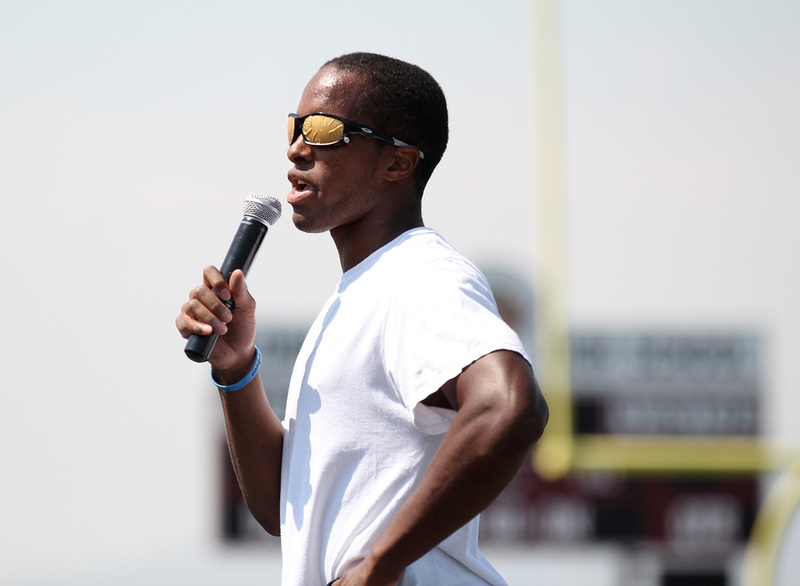 Two years ago, I had the awesome experience to meet David Brown on the track at Lone Peak High School. David was at the track helping coach and inspire other runners to push through difficult times with a smile. 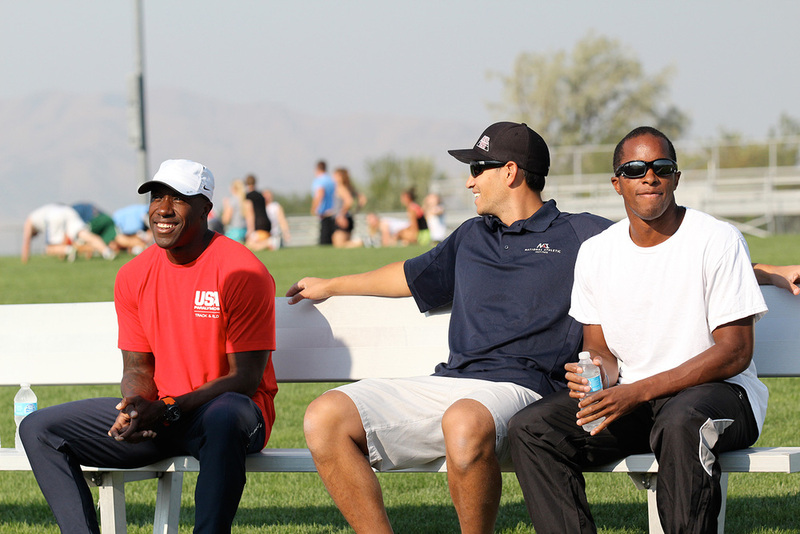 You could see faces of the track athletes light up as he demonstrated his speed running blind. He also spent time teaching them to not give up on their dreams when life gets tough. As I talked with David, I quickly learned that his approach to life was simple, yet profound. He told me, "Life will give you challenges, but the most important thing is to not let those challenges get you down. You have to rise to a new vision of what life can bring you. You need to rise to new visions of greatness. The tough times will test you. If you approach them right, they will make you better and stronger. Accepting my blindness and moving forward with courage opened up a new world for me. Running blind allows me to inspire others. Even though I can't see their faces, I can feel their energy and their support. That makes me happy." As I mentioned above, David will compete for Olympic Gold at the Paralympic Games in RIO. David is one of the world's top International Paralympic Athletes. He is the fastest blind runner in the world. 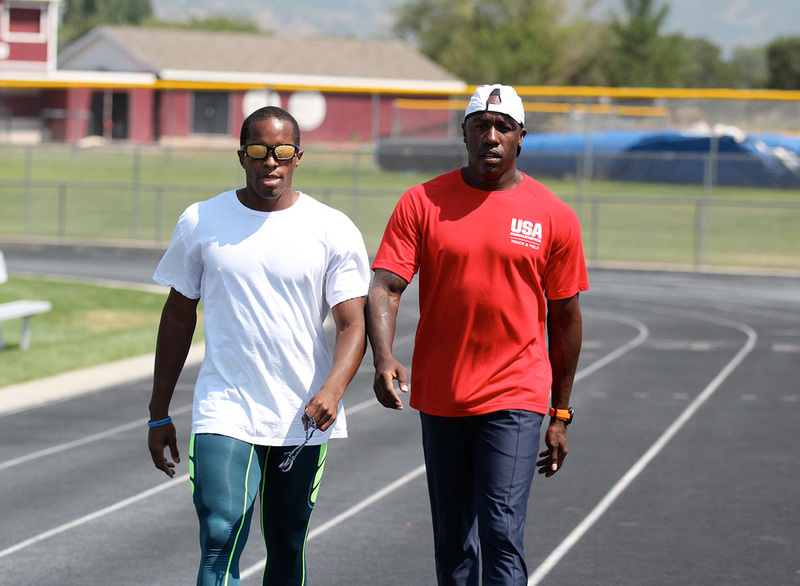 He is the current world champion and double world record holder in the 100 meter and 200 meter sprints. He teaches us that life's obstacles can give us a powerful lift if we respond to them in the positive way. Being blind never is an excuse for David. He is one of the most fit athletes in the world. At the age of 15 months, David started to lose his eyesight. He developed Kawasaki disease. By age 6, David's vision began deteriorating, stripping him of his sight. It was a big blow to him. David refused to be a victim of this challenge. David found his escape to blindness through running, a sport that he could use his legs, heart, and soul to defy the odds of blindness. David set his sites on being the fastest blind runner in the world and winning Paralympic Gold. To do this, David would need a guide runner. Let me introduce you to Jerome Avery, David's guide runner. Jerome is another one of those people that really inspires you when you sit and chat. He knows that he and David are a team. You can follow their success with the hashtag #teambravery. David and Jerome us a shoesstring to help them run at world record speed. The four to eight inch shoestring helps align their running motion during their sprint races. 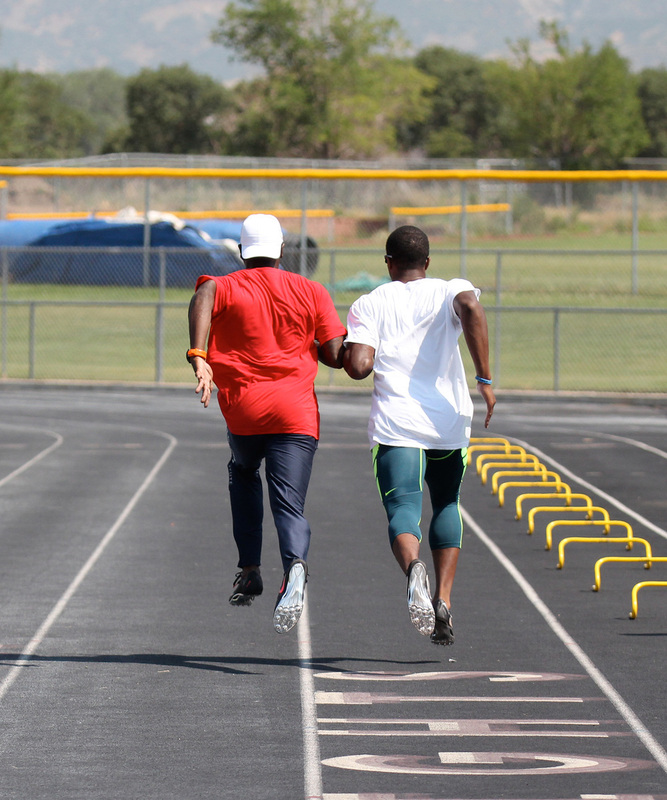 David and Jerome demonstrated this perfectly on the track at Lone Peak High School. It's inspiring. The shoestring helps them pump their arms and legs in perfect unison. It helps them develop identical strides as they reach superhuman speeds. You'll here Jerome yell, "Drive." Their unison and passion to succeed inspire me to push through my current challenges in life. If David hasn't let blindness stop him, then my challenges shouldn't stop me. Here are three powerful life principles David and Jerome can teach you about overcoming obstacles. Life hits hard. Things happen. Things change. When the storm and challenges come—dig deep. Don't give up. Take a deep breath and keep moving forward. If you keep your head up, you'll find the solution to your problems. Your problem will make you stronger and you can use that strength to help others who might some day need your love and support. David and Jerome have a fan base that continues to support and lift them. At David's young age, his mother, Francine, moved David to Missouri so he could attend the Missouri School of Blind. It's inspiring to read the comments of those supporting David on Facebook and other social media sites. When life's obstacles hit, surround yourself with people who believe in you. This will help you find strength to overcome your challenges with added strength. David has to run with faith. He has faith that Jerome is running down the right path. He has faith in his legs and running skills. He uses his faith to push hard to the finish line with powerful confidence that he'll succeed. Each of us must do the same. Once we're faced with the challenge, we must move forward with faith. The clouds that cover us will disappear. The sun will rise. It's really up to us to be moving forward not backward or stalling with no motion. Move forward with faith. I'm grateful I met David Brown and Jerome Avery. I wish them success in RIO. Thanks for helping inspire the world with new visions of greatness. I believe in you two. You got this! Light up the track and light up the world.